Here it is, a week later and I didn’t find the time to post once! I am enjoying having my granddaughters living here with me, but wow, this is a change to this empty-nester life! Those sweet things headed off to preschool today so I should have a little more time for things here at Celebrate & Decorate. Thank you all for your support and encouragement in this transitional time for me! I am a big fan of vision boards, although mine is currently a pile of clipped out words and images laying on a piece of foam core. 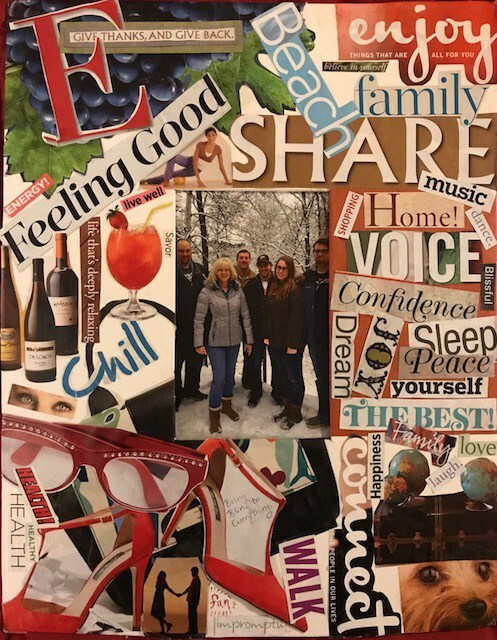 I selected This Ultimate Guide for Vision Boards from Ellen at If It Brings You Joy. This might be just what I needed to finish up my board this week! 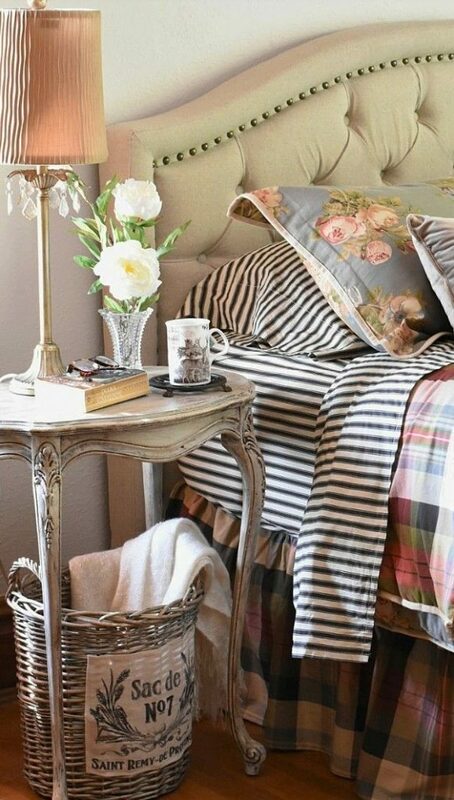 I have to admit I was a little distracted and selected this Beautiful Cottage bedroom Reveal from Follow The Yellow Brick Road and hadn’t realized that Sandra had also selected a feature from Amber’s blog this week. I guess she got a little bonus! 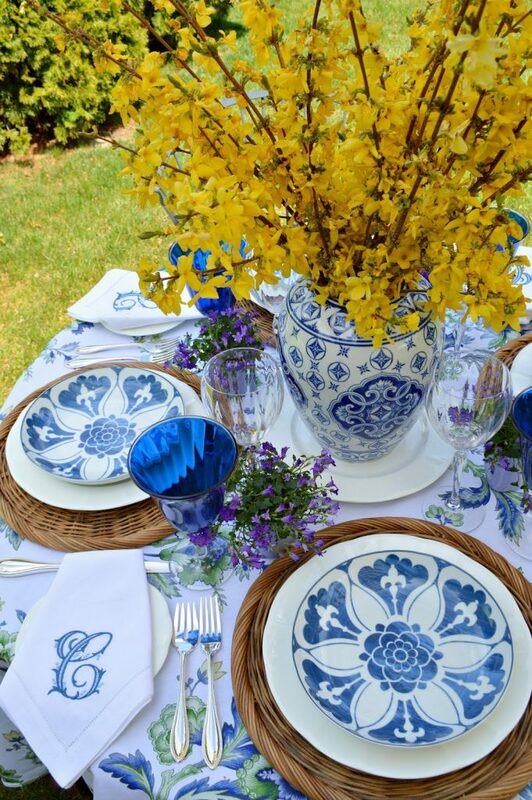 I can easily see why Sandra selected this stunning Blue and White Alfresco Tablescape from one of the most talented table stylists I know, Janet from Rosemary and Thyme. Who wouldn’t have loved being a guest at this table? This bonus feature for Amber of Follow the Yellow Brick Home was Sandra’s second feature this week, Ten Delicious Gluten Free Grilling Recipes. 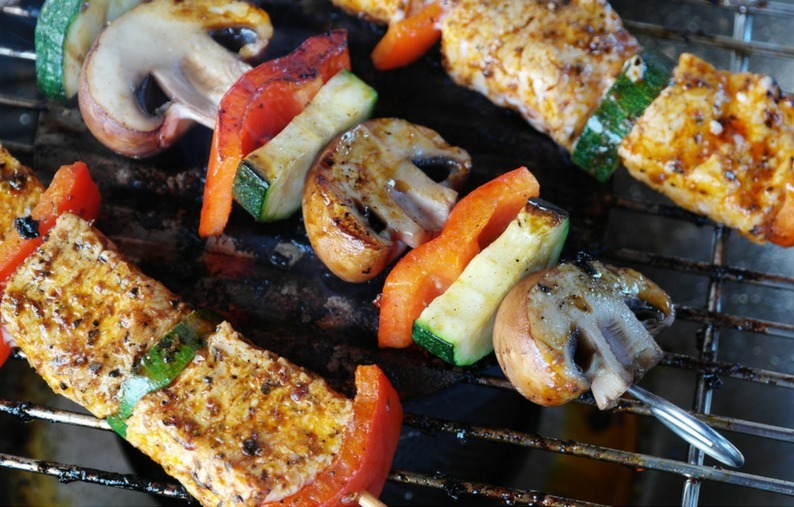 You don’t have to want to go gluten free to love these delicious recipes for the grill! 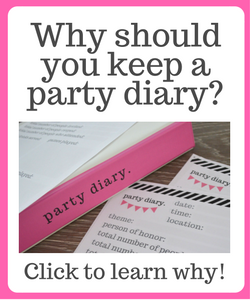 The most clicked link last week got my attention as well as a lot of you! 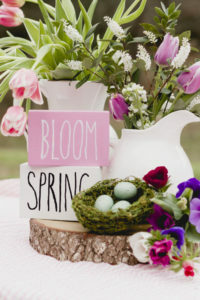 After 3 years in this house, this year will be the year of the “backyard” at my house so I am really attracted to these great backyard projects. 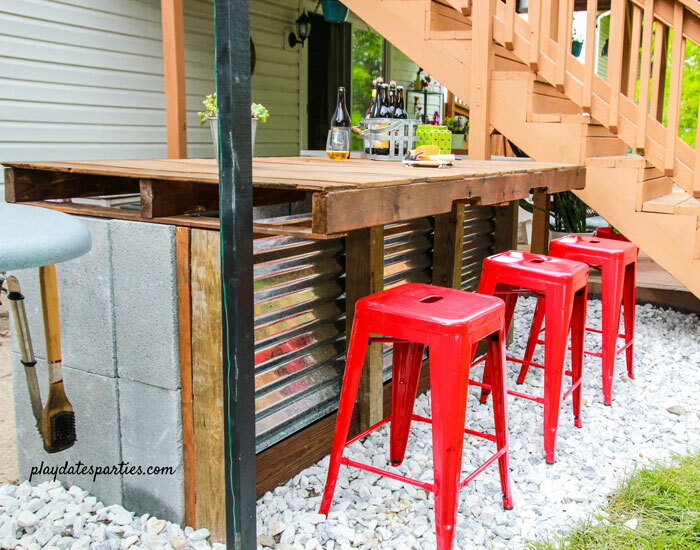 This DIY Bar with Cinder Blocks and Pallets is from Play Dates and Parties! Thank you Chloe! I love everything you’ve picked this week! 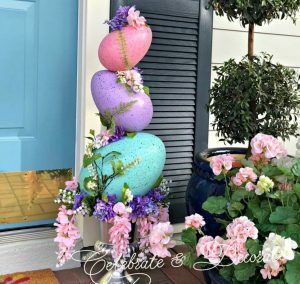 BTW, are we still doing a blog hop this month? 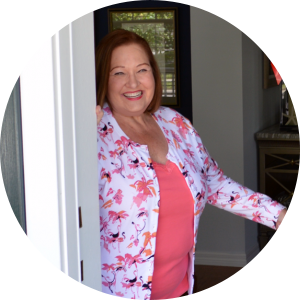 Hope you had a great Mother’s Day! Thanks Jenna, I am glad you understand how I am squeezing everything I can out of the time I have these days! Thank YOU! You are so very talented! I love seeing everything you come to share! Oh wow…two features! Thank you so much for featuring my bedroom and to Sandra for featuring the GF grilling recipes. You are right, you don’t have to be on a GF diet to enjoy them. Have a great week! Thanks for hosting, Chloe! I can only imagine the adjustments that your household is going through. I’m sure it’s a delight to have you grandchildren with you though. I hope you’re having a lovely week.